Edinburgh Monarchs will face Workington Comets in the first of the KO Cup speedway semi-finals. The first leg will take place at Armadale this Friday, with the deciding leg at Derwent Park 24 hours later. 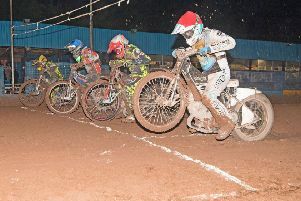 Workington sailed through against Newcastle Diamonds over the weekend to seal their spot in the last four. Monarchs co-promoter John Campbell said his team must regroup after their failure to reach the play-offs, the first time they have missed out on them since they were introduced to the sport in 2012. 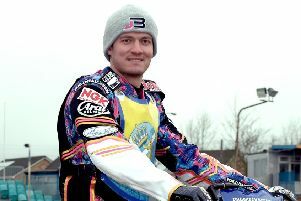 Campbell said: “The riders’ job now is to focus on the cup semi-final. It is up to them to show what they are capable of. “It was disappointing to miss out on the play-offs and the team felt very deflated after our defeat at Glasgow and our home loss against Berwick Bandits. Monarchs thumped Workington by 40 points in their league encounter at home last month and would happily settle for a repeat of that score to take into the second leg. Monarchs hope to be at full strength for the ties, but are awaiting a decision on injured Swedish reserve Joel Andersson returning to the saddle. Andersson hurt his right foot against Lakeside Hammers and doctors told the rider he would be out of action for five weeks, but Andersson will decide in midweek whether to ride or not. Monarchs are entitled to use a guest replacement.